ZS, in collaboration with MKA, based in Seattle, Wash., performed the structural engineering analysis and design for the West Commons. 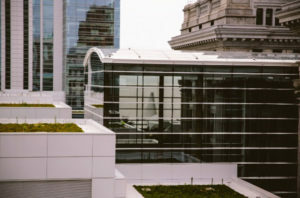 The West Commons connects the new building to Northwestern Mutual’s original 1914 construction headquarters building via a seven-story steel atrium clad entirely with glass. 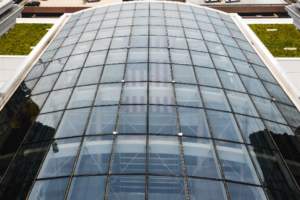 ZS, in collaboration with ATS, based in Atlanta, Ga., analyzed and engineered the maintenance access / fall protection systems for the Commons and the Atrium portion. 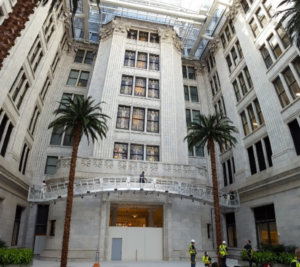 The engineered maintenance access / fall protection systems included fall protection anchors and tiebacks, Horizontal Life Lines, and a 70-foot span Custom Mobile Hoisting Apparatus to access all interior glass elevations of the atrium (horizontally and vertically). 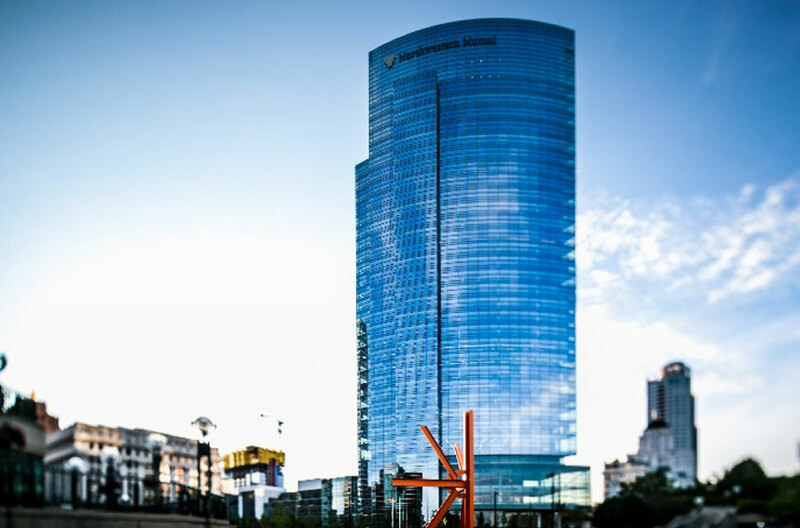 ZS, in collaboration with Entuitive, based in Calgary, Alb., provided the building envelope consulting for the Tower and Commons’ glass curtain walls, stone cladding, green roofs, roofing, and waterproofing.